If anyone is still interested in playing in the Red Cedar league, there is still time to register and sign up. Please go to the website and register to sign up. Note that 4th and 5th graders will be on the 6th grade team and 7th graders will play on the 8th grade team. If you are interested in just coming to the practices, you are welcome to come to the practices and pay the $5.00 fee each time you come to practice. Please note that the first 3 weeks maybe tight until we move to Capital City Baptist (CCB) as CCB is a larger gym but not available until March. *Key contact: Coach Ardis (joshardis@gmail.com) and Coach Farhat (pfar123@sbcglobal.net). Admissions to participate will be $5.00 per open gym. 8 practices at South Church on Tuesday nights from February 12 - April 9. Practices will be about 1 1/2 hours and there will be no practice on April 2 for spring break. There will be 1 tournament that will be double elimination on April 13 and April 14. Cost per player is $70. If your daughter is interested and you have not contacted Matt Rottman or Kim Winter, please let Matt Rottman know at mjrottman@yahoo.com by Friday February 1 as we need to turn in our roster to the league. There will be a formal registration that will be coming out sometime during the first week of February. Volleyball skills camp a great success! GOAL: To learn fundamentals of volleyball in a recreational, family-friendly, God-honoring setting; build confidence; challenge the girls to excellence, focus on godly character development, good sportsmanship, team building, and having fun – while learning the rules of the game and basic volleyball skills. All who are interested in playing are welcome! 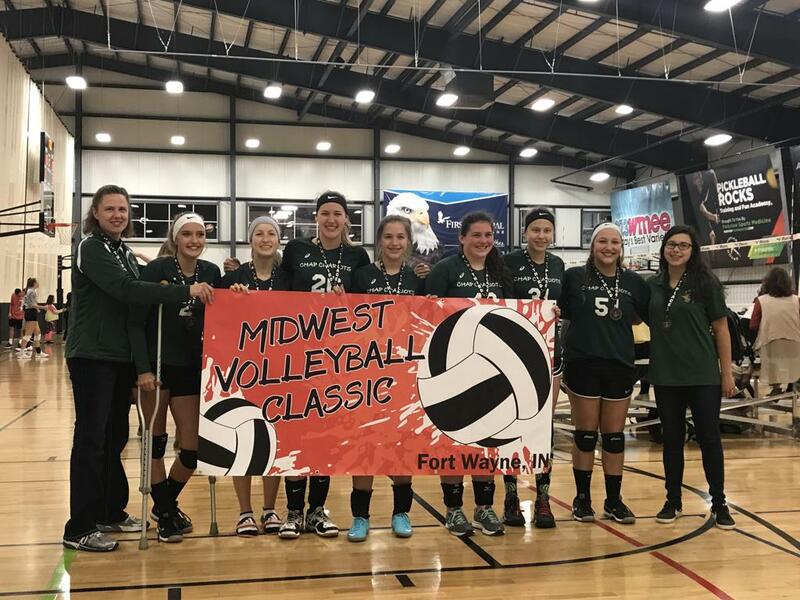 Due to the nature of the game of volleyball, it is impossible to guarantee equal play time; however, at this level we strive to give all girls exposure to all positions on the court. 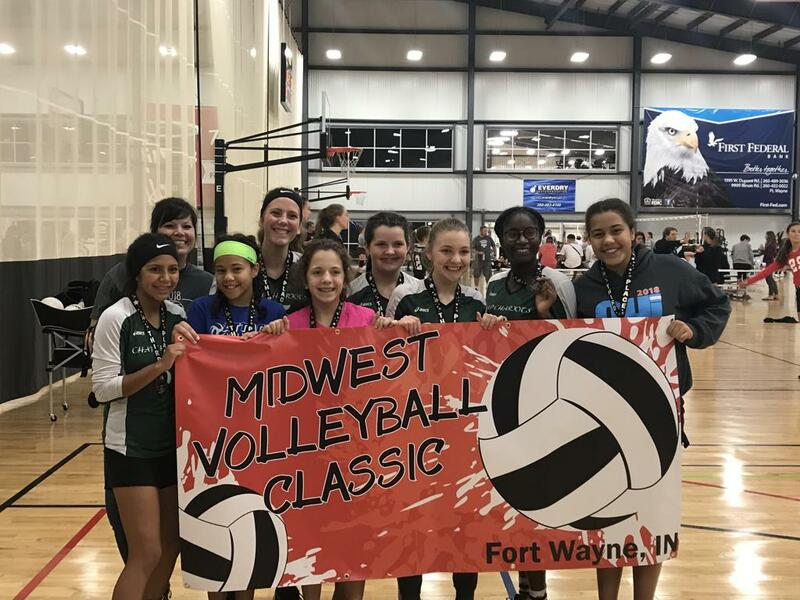 GOAL: To develop fundamental skills of volleyball in a family-friendly, God-honoring setting; build confidence; challenge the girls to excellence; focus on godly character development, good sportsmanship, team building, and having fun – while developing and strengthening basic volleyball skills. Due to the nature of the game of volleyball, equal play time is impossible. We realize all kids practice hard and want to play. We will strive to give all girls play time and exposure to different positions while also recognizing that some girls may have developed skill in certain positions already. • Half games at home, half away - Travel & play other homeschool teams within a 90 min. drive of Lansing, with a couple of weekend tournaments; play several local middle school teams, as well. 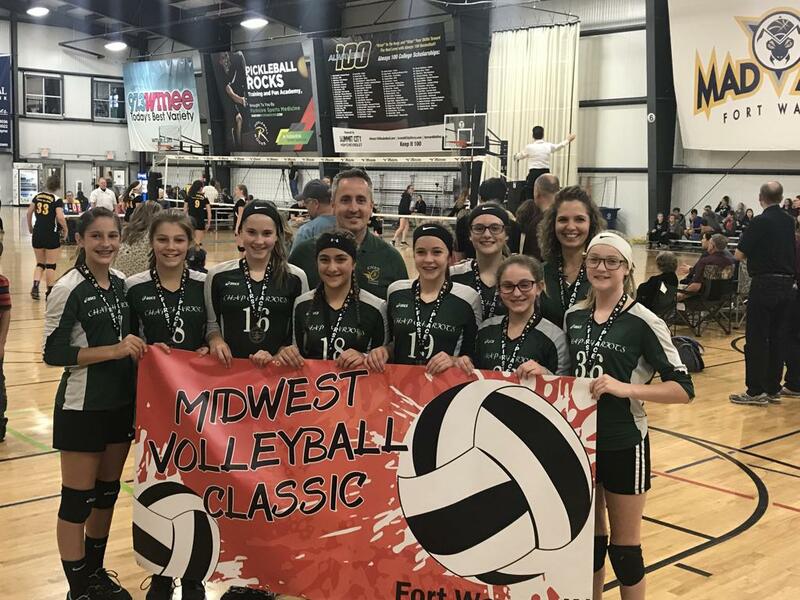 GOAL: To strengthen fundamental skills of volleyball in a more competitive, yet God-honoring setting; build confidence; challenge the girls to excellence, focus on godly character development, good sportsmanship, and team building – while strengthening and refining basic volleyball skills. While we realize that all girls practice very hard, the nature of the game of volleyball does not allow for us to provide equal play time. We will strive for all girls to get in the game at times that would accentuate their strengths, challenge them, build their confidence, and benefit the team as a whole. • This year we anticipate 2 teams at the JV level: JV Green & JV White, Max of 12 girls per team... The Green team will be our most competitive team, and having the White team should allow all girls at the high school level who’d like to play CHAP volleyball to do so. They most likely will not have quite as many games as JV Green. • Half games at home, half away - Travel & play other homeschool teams within a 90 min. drive of Lansing, plus several weekend tournaments (Approximately 12-14 games). 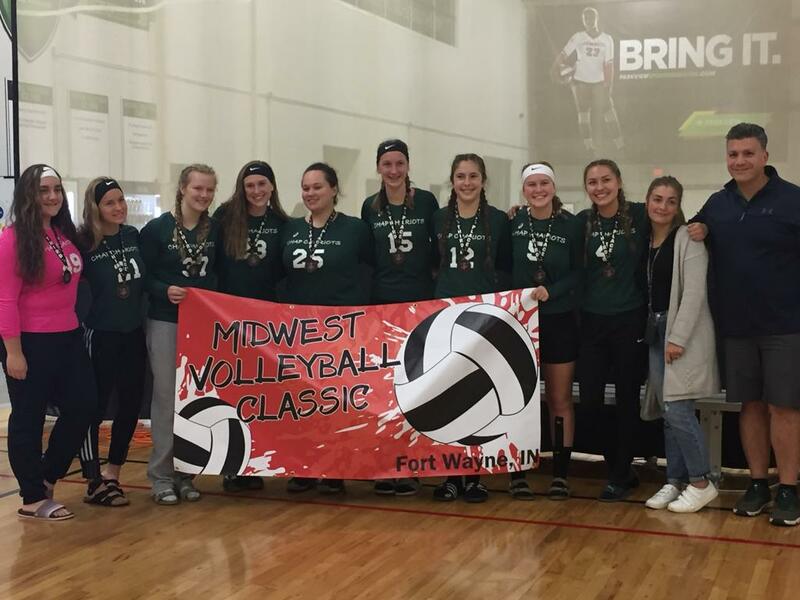 GOAL: To refine fundamental skills of volleyball in a competitive, yet God-honoring setting; build confidence; challenge the girls to excellence, focus on godly character development, good sportsmanship, team building, and having fun – while refining and perfecting basic volleyball skills. It is important to note that because of the nature of the game of volleyball, equal play time is impossible. However, we will strive for all girls to get in the game at times that would accentuate their strengths, challenge them, build their confidence, and benefit the team as a whole. ** Girls can move up and play at a higher level if deemed appropriate, but as a general rule they wouldn't play in an age group younger than their age-mates (based on age as of Sept. 1.) NOTE: All final decisions on team assignments are at the discretion of the CHAP Coaching staff, and will be made by coaches based on ability, experience, size, and team needs-- to give each girl the best playing experience and to give our teams the best opportunity for success. However, we will certainly do our best to take into account parental preferences and other family considerations.